When you live in China you will find it’s a funny tug of war between the VPN companies and the Chinese government. On one hand the government has a dedicated force to block global sites like Google and Facebook. But on other hand VPN companies will popup like mushrooms allow you to unblock those global sites. If you are planning for a long term trip then it is mandatory to purchase a VPN service. Those who travel for short business or personal trips can look for free VPN apps for short term use. Here are three such free VPN apps that works in Android and iOS, so you can try it on your Android phone, iPhone and iPad. Surprisingly these free apps will work just like that, when paid VPN services like ExpressVPN and VyprVPN fails to connect. So even you have premium service you will definitely need one of these free apps for emergency connection. Hotspot Shield Free Privacy & Security VPN Proxy By AnchorFree Inc. Note Apple removed all VPN apps offered from outside China from Chinese App Store. Hence these free VPN apps may not be available in Chinese App Store. You should download by switching to US or any other App Store. Ironically this app is developed by a Chinese developer to pass through the great firewall of China. You can go to their site and install using profile method. They also provide complete setup instruction. After installation of the app, it will generate a password and account for you. you don’t need to provide any payment details and you are ready to connect. The website is accessible inside China, hence you can freely access and install the app. Remember, all of the popular VPN sites are blocked in China. You can select the available server from the list. Though there are very less servers in the list, it automatically selects the fastest server (mostly from United States). Get a daily free limit of 200MB which is sufficient to check Gmail and browser for important updates. App is advertisement free and you can buy within app similar to any other phone app. Available for iOS, Android and Windows OS. The developer offers various pricing plans. The lowest plan starts for weekly 12CNY and the highest plan will cost you 163CNY yearly. More than 200K+ people uses NPN Proxy Master app on Android and iOS mobiles. VPN Proxy Master app has almost 5 star rating on Google Play and Apple App Store. After installation, the free app does not need any registration and allows unlimited bandwidth of connection. 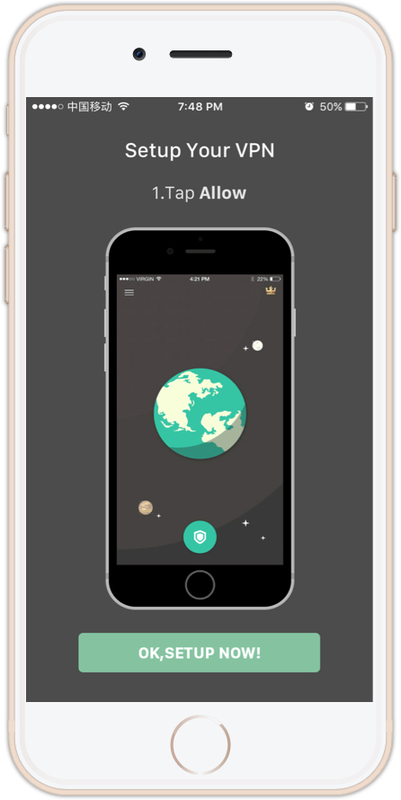 Available for Android, iOS and Mac. You can access blocked sites without any time or bandwidth limit. Very good rating on app stores. The problem is that this app is not available in Chinese Apple Store and you can’t access the site in China. This means, you should install the app before you arrive in China or switch the app store country to get the app on your phone. The VIP connection will cost you $2.99 per month which you can test before purchasing. 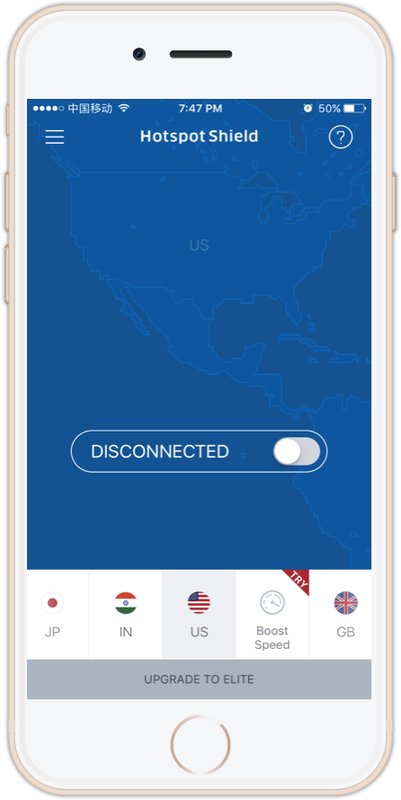 Hotspot Shield VPN is developed by a California based company called AnchorFree. It is a private venture-backed company funded by Goldman Sachs and few other popular investors. Hotspot Shield is one of the popular free VPN apps and the developer claims 650 million users are using the mobile apps on Android and iOS devices. The only confusion is it has two apps on Android for basic and premium version, however only one version is available with in-app purchases on iOS App Store. As far as we have checked the connectivity from China is around 70% and remaining time it will never connect. The free app runs with advertisements and you can upgrade to elite plans starting from $12.99 per month to $3.49/month on three years plan. Android, iOS, Mac and Windows apps are available along with Chrome browser extension. The site is not accessible in China which means you need to get the app before you arrive or install from other country’s app store. Chinese government formally made an announcement in Jan 2017 that all VPN companies should get prior approval for offering services in China. This made most of the foreign VPN services as illegal. At this point of time PPTP and L2TP tunnel connections are completely blocked by ISPs in China. As already mentioned, on July 2017 Apple removed all foreign VPN services from Chinese App Store including the premium ones like ExpressVPN. And all Google products are blocked in China from 2010. So you should connect to some other country’s App Store in order to download one of the above mentioned apps. Also, remember none of the VPN services in China will work on all platforms like Windows, Mac, Android and iOS. So you need to have multiple services to check which one connects at that point of time. We have used all these three free VPN apps time to time and they all have good customer ratings. But the working SGreen VPN app does not even have proper developer information. So you never know the guys behind these apps and the objective. Use these apps at your own risk or purchase a premium VPN services like, VpyrVPN or ExpressVPN before you reach China even for a short term visit. Though the outside apps are removed they will still work on your devices.